Thirsty Thursdays: Going Mental in Vang Vieng in LAOS! Hats off to my travel buddies!! 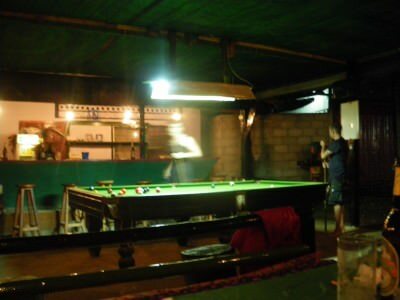 Right it’s a “short one” because this is all you need to know about the Bucket Bar in Vang Vieng, Laos!! This it NOT for “teetotallers”, in fact Vang Vieng in its dreamy, riverous splendour is quite possibly the party capital of the world. Tubing and the like aside, head for a night out in The Bucket Bar and you’ll go mental. Actually. 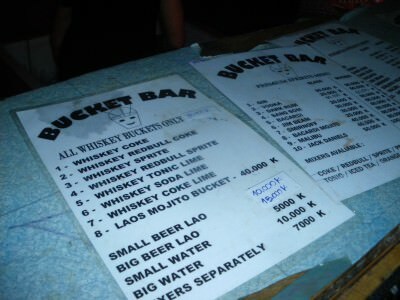 “Menu” for the Bucket Bar in Vang Vieng, LAOS. Ten buckets please! Heaped! 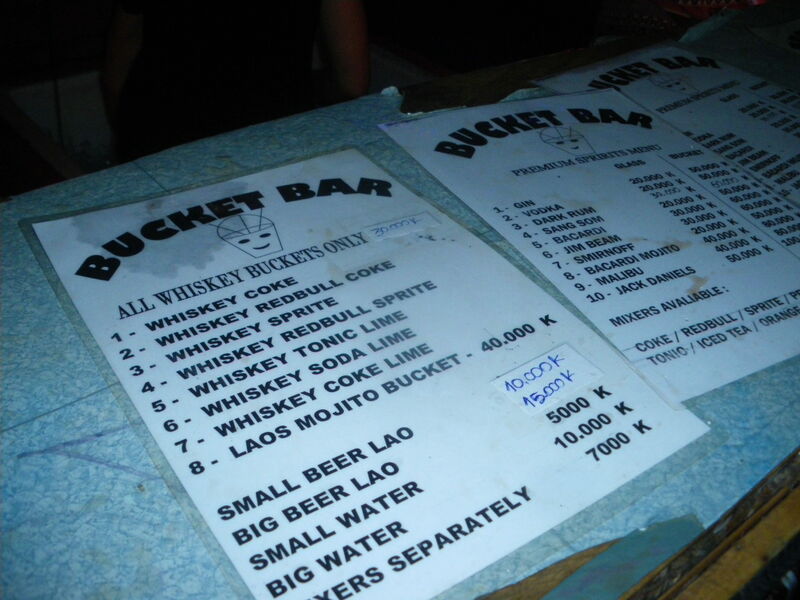 I’m not even sure if it’s officially called The Bucket Bar, but it sells buckets of alcohol and it’s a bar. Everyone knows it as “the bucket bar” but nobody remembers what they ever did there. It’s outside, it’s on an island, you need to cross a bridge to reach it and you will party like you are 16 again. Honestly you will. Partying in Vang Vieng (as a 32 year old!) with Chaz – my Belfast mate and fellow Northern Irish wanderer! It was time for me and one of the coolest travel buddies on the planet (step in Mr. Belfast Boy himself: Chaz Fitzsimmons). 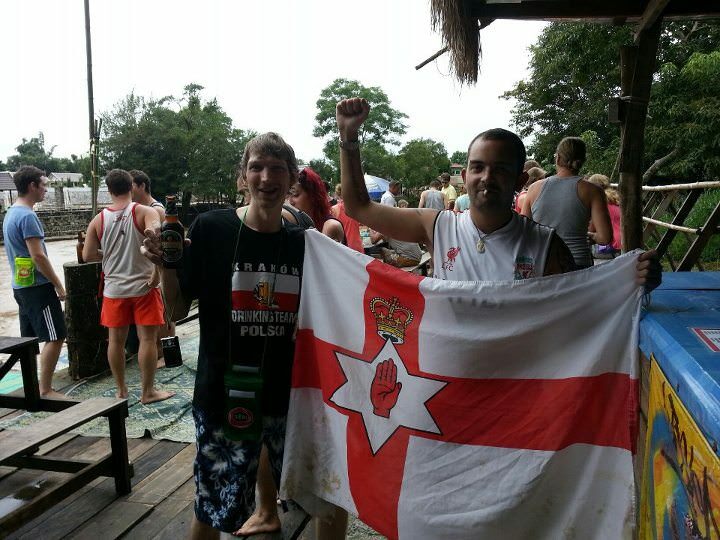 The pair of us are the Northern Irish unlikely lads and if there’s a cold beer to be had, we’re somewhere in the vicinity. I met Chaz in Tasmania in 2010 when we were both earning our crust on farms and any random jobs we could get our hands on – a few stories from those days too. 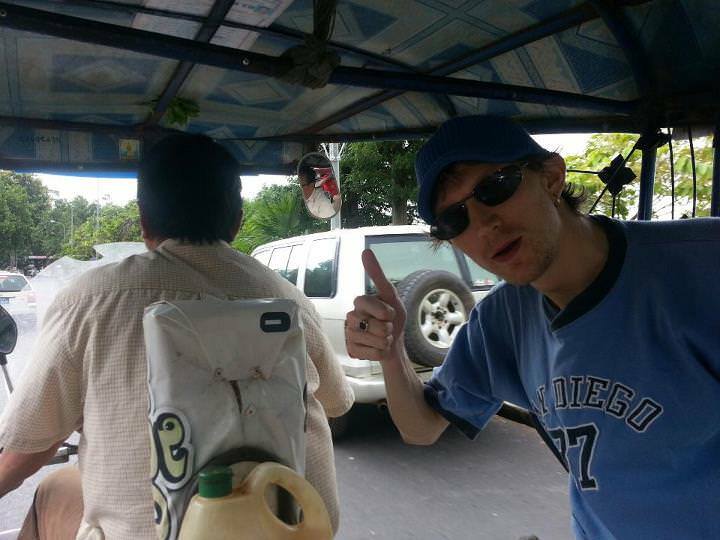 On the tuk tuk in Vang Vieng…probably! Having got a bumpy truck then minibus ride from the capital of Laos, Vientiane we arrived in the dreamy, non-sunset showing town of Vang Vieng. From the first moment it was a dirty love affair with the town. I left my soul, my wallet, my camera, my blue hat and my crazy life there. But I won’t change that for the world. We had an AWESOME night in the Bucket Bar. 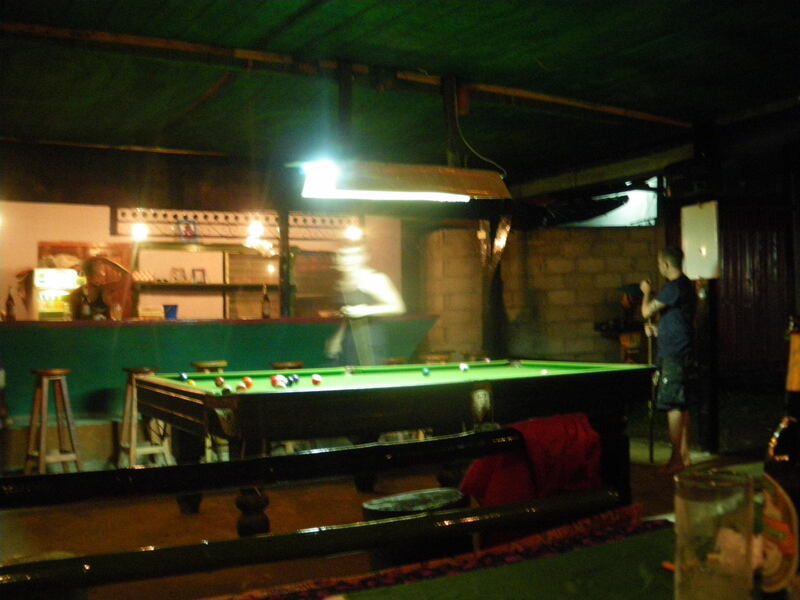 International Pool Competition in Vang Vieng in Laos. Apparently. After Chaz and I winning the international pool competition for little Northern Ireland in “The Pool Bar” (probably also not the real name of that bar but it will do), we set about crossing the bridge (which was dodgier than Northern Ireland’s Carrick a Rede) to the bucket bar. First orders was a bucket of whiskey. Each. 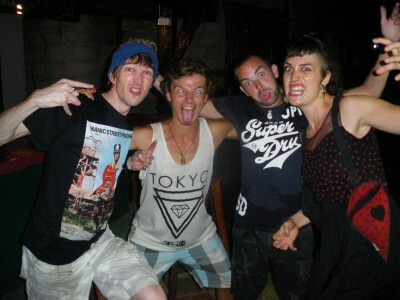 There were actually four of us – a crazy German girl called Maria, plus Nick who was backpacking the SE Asia route and came from England. I don’t remember too much, but buckets were consumed and I got chatting to everyone. I didn’t use the straw, I asked for little Coke and I threw the ice into the Nam Song River. Then we were ducking under fire. Then we heard of a guy falling off the bridge. 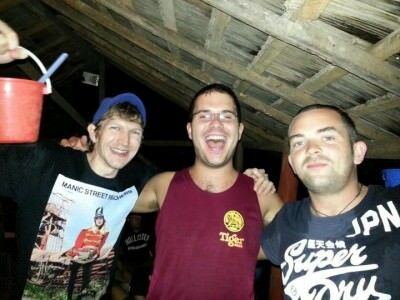 Then I got home and shared a room with Nick and Chaz in a hostel. The next day was one of my worst in travel as I lost my camera, wallet and Hong Kong ID card in an act of ridiculous stupidity on the Nam Song river in Vang Vieng while tubing. 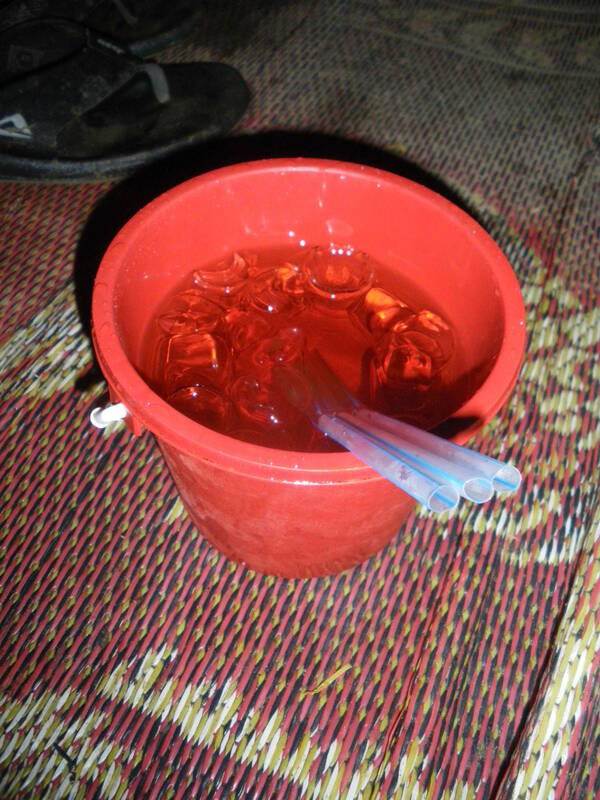 A whiskey bucket in the bucket bar. Note: don’t be fooled by the ice – this is lethal stuff!! I’m sorry guys, I’m NOT a model backpacker. Don’t follow me or listen to my advice. You might just go insane and lose your wallet. 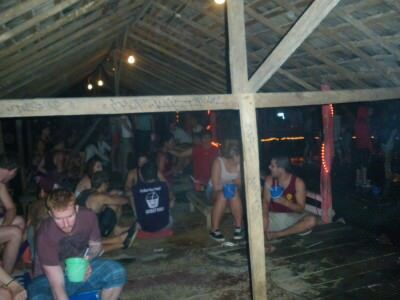 But seriously, if you’re in Vang Vieng, head to the Bucket Bar!!! Even if you forget about what you did in the Bucket Bar, that in itself is worth remembering. I’ll leave you with that as I pour another pint…safe travels my friends! This entry was posted in Asia, Crazy Stories, Daily Features, Laos, Thirsty Thursdays, Vang Vieng. Bookmark the permalink. Teacher by day and pool hustler by night, eh? Fun post and videos but the thing that made me laugh the most/hardest… “not even sure if it’s officially called The Bucket Bar, but it sells buckets of alcohol and it’s a bar.” Really, other than the address what else does needs to be said?